TOKYO - Greenpeace welcomes President Obama’s historic visit to Hiroshima just after the G7 meeting - the first ever visit by a sitting U.S. president - but condemns his double-standards as his administration work to expand the U.S.’ own nuclear capabilities. “We welcome President Obama’s attempt to understand the miseries of nuclear warfare, but this visit rings hollow without far bolder efforts to rid the world of nuclear weapons. If the U.S. wants to help build a peaceful world, it is not enough to only visit the ruins of the past,” said Hisayo Takada, Deputy Program Director at Greenpeace Japan. The U.S. must also address the issue of its military base in Okinawa, which is an ongoing problem with local people, particularly when military personnel are involved in serious crimes. “The military base in Henoko is a relic of past conflicts and its expansion ignores the wishes of 80% of local people,” said Hisayo Takada. “It threatens people’s local environment, including the home of 262 rare species such as the endangered Japanese dugong. The U.S. still has 4,700 operational nuclear warheads, according to the Federation of American Scientists, and continues to spend a fortune maintaining and modernising its arsenal . The U.S. is not the only one; over 40 years after the Nuclear Non-proliferation Treaty, nuclear-armed states are still clinging to their arsenals. 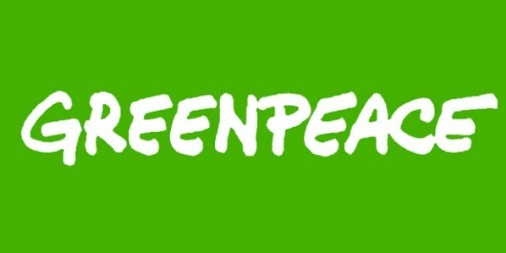 Greenpeace believes that the battle to stop the proliferation of nuclear weapons – the first campaign Greenpeace ever engaged in – is as urgent as ever and that we cannot rest until we eliminate nuclear weapons from the world.